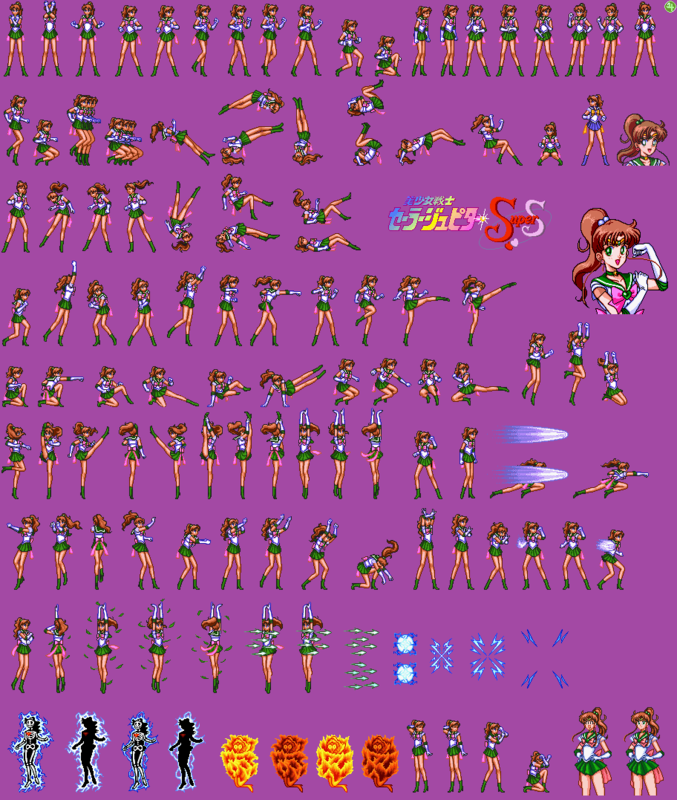 ﻿ The Sprite Cemetery: Sailor Moon SuperS Zenin Sanka!! Shuyaku Soudatsusen. Sailor Jupiter. Makoto Kino. Sailor Jupiter. Makoto Kino. Super Famicom. Angel.